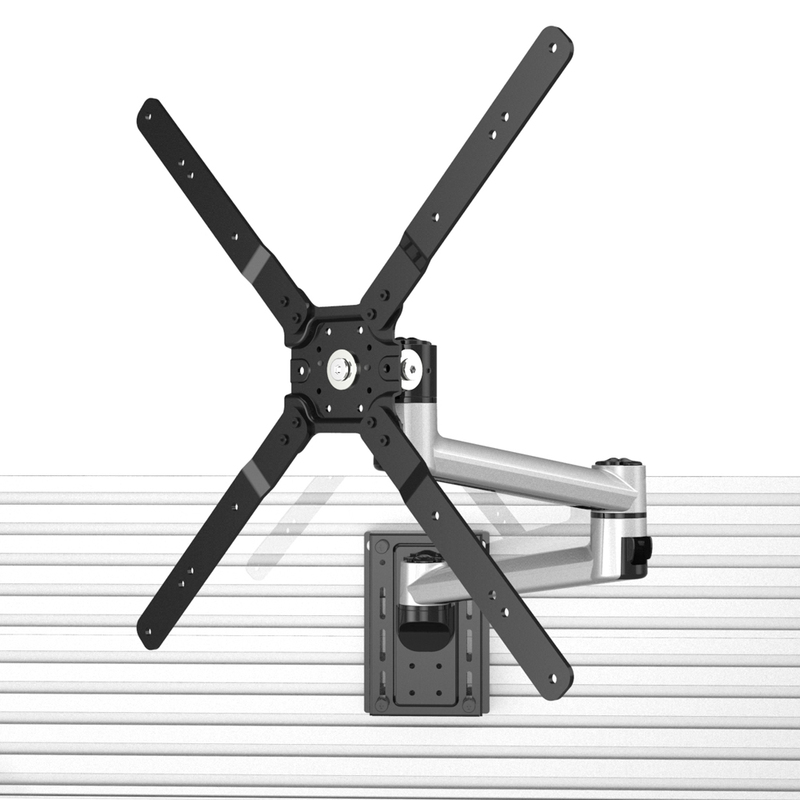 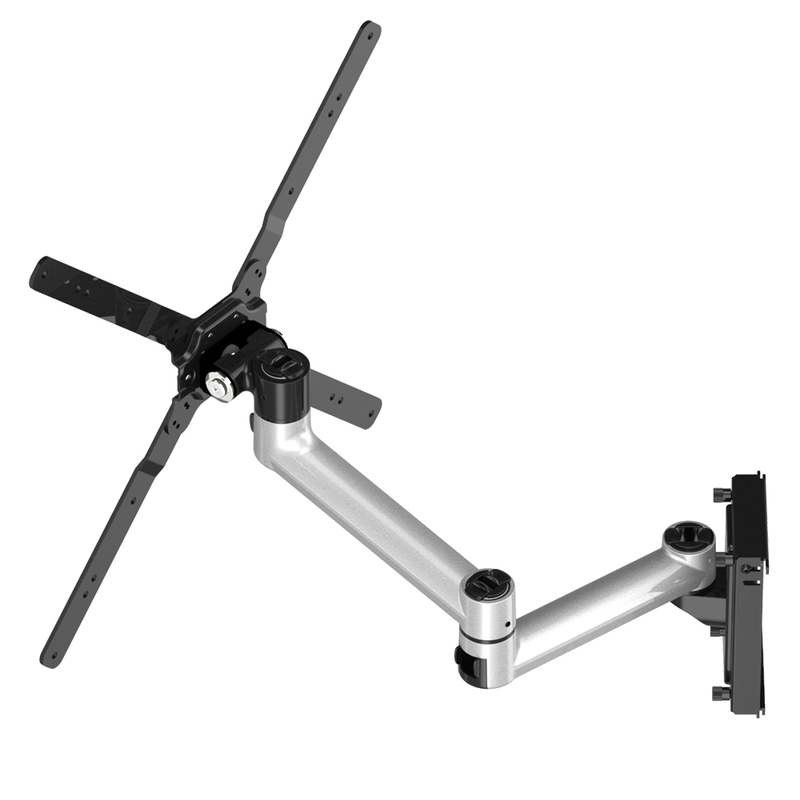 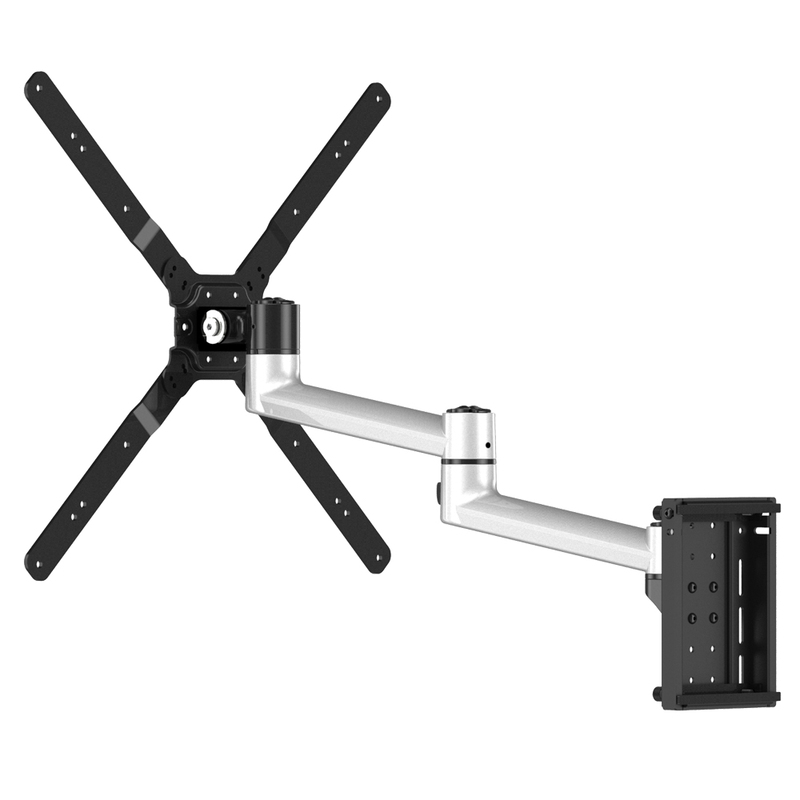 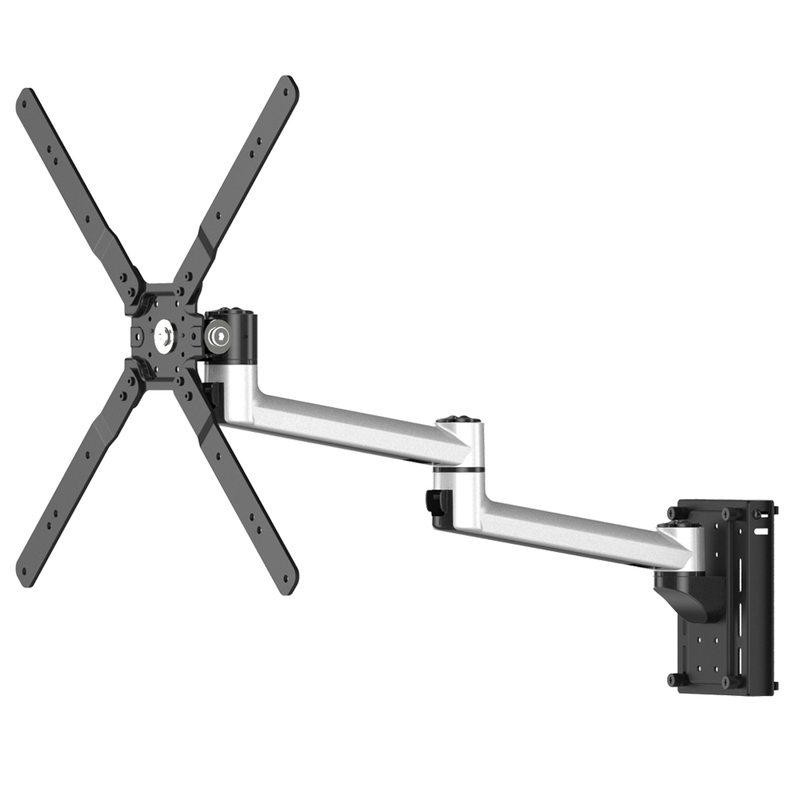 The unique and creative TV Slatwall Mount - Quick Release 32 – 50” Rotating & Double Arm has 3 pivot points. 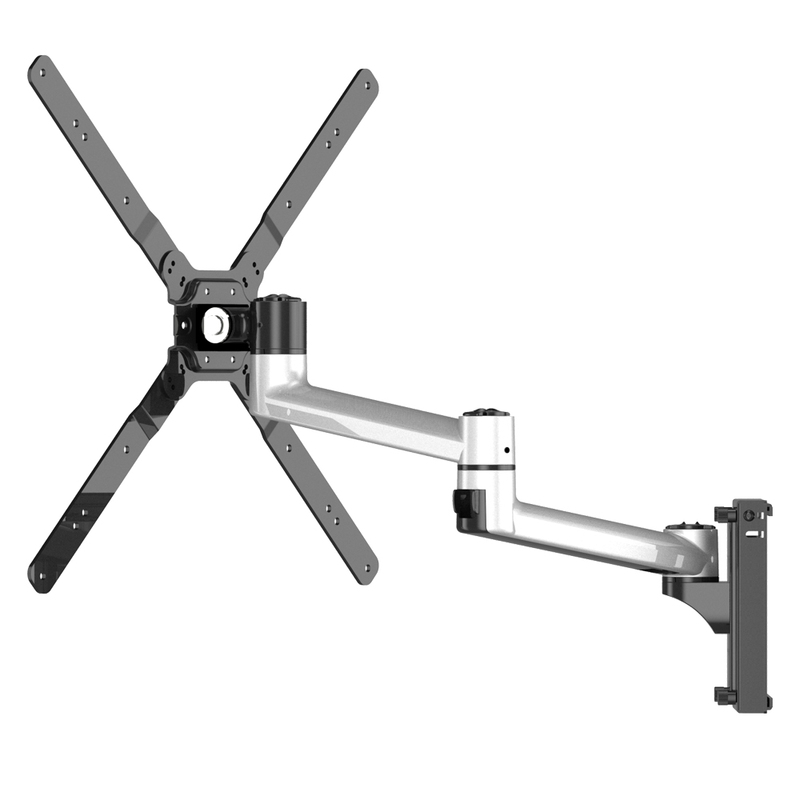 The TV mount can achieve best viewing positions by full motion functionality. 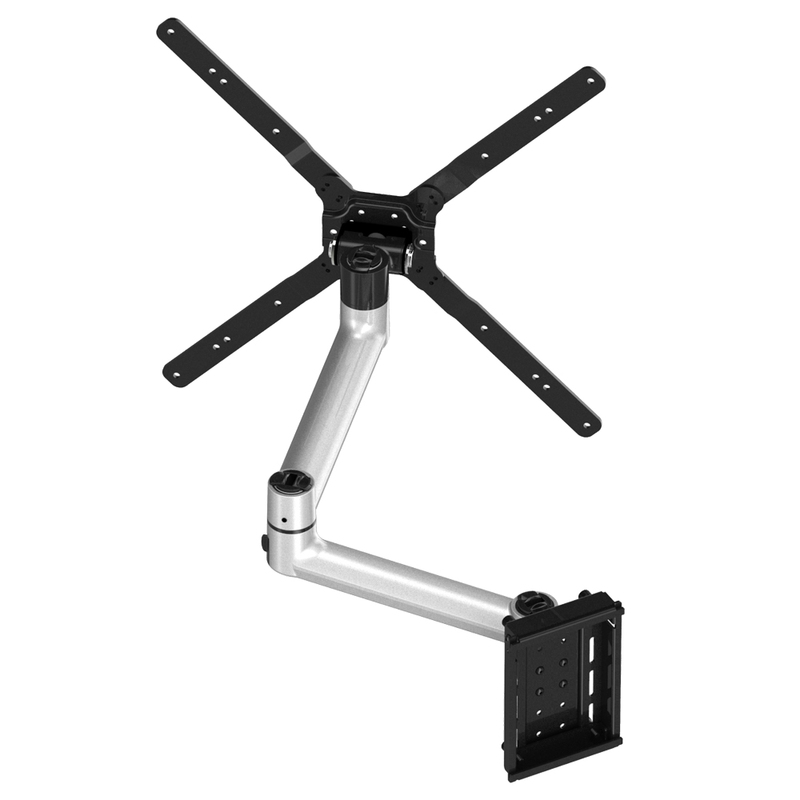 The slatwall mount solution has weight capacity of 44 lbs (20 kgs), featuring 115 degree tilt, 180 degree swivel & 19.7 inch full extension. 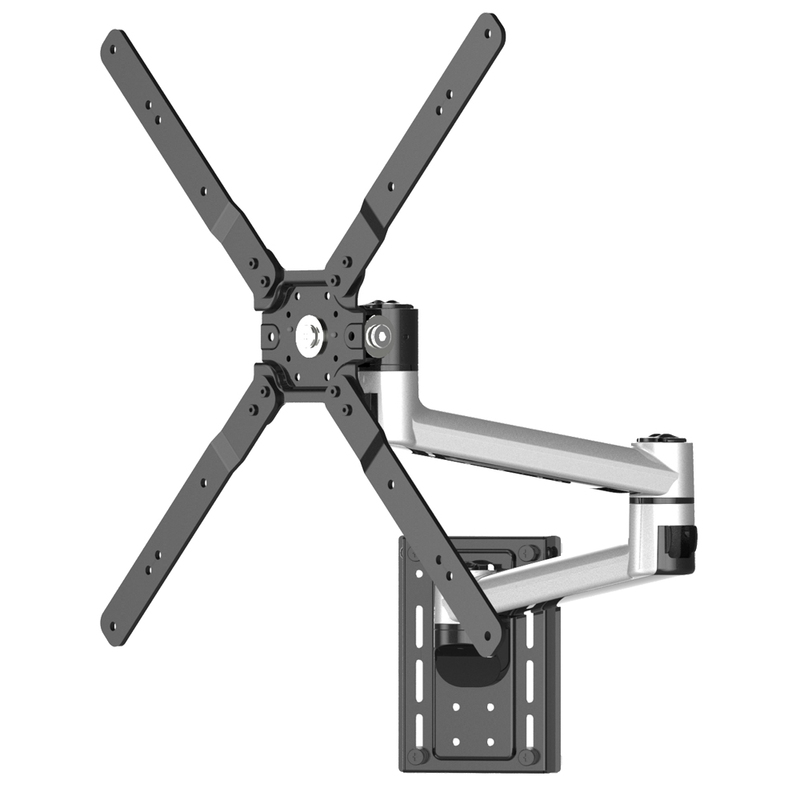 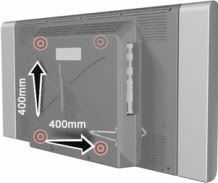 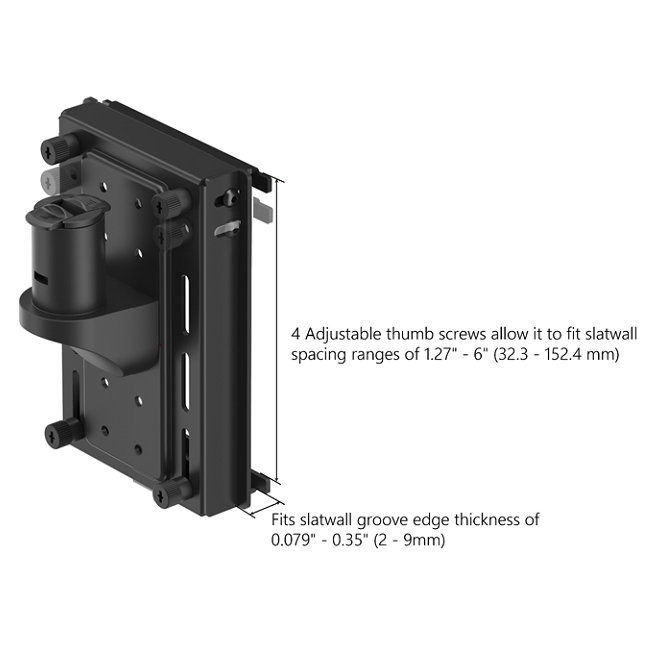 This flat screen swivel TV slatwall mount boasts integrated strength through the latest engineering technology, and is tested for durability in our offshore manufacturing plant. 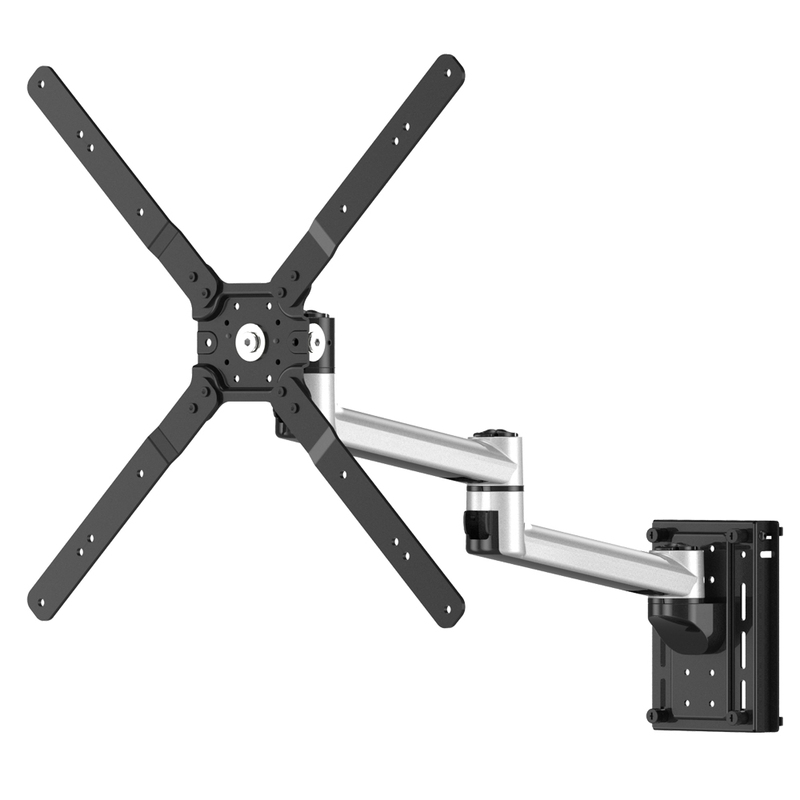 The slatwall TV mount has been built with the end user in mind, and features easy installation while offering intuitive, practical & functional design from one of the leading manufacturers of slatwall mounts. 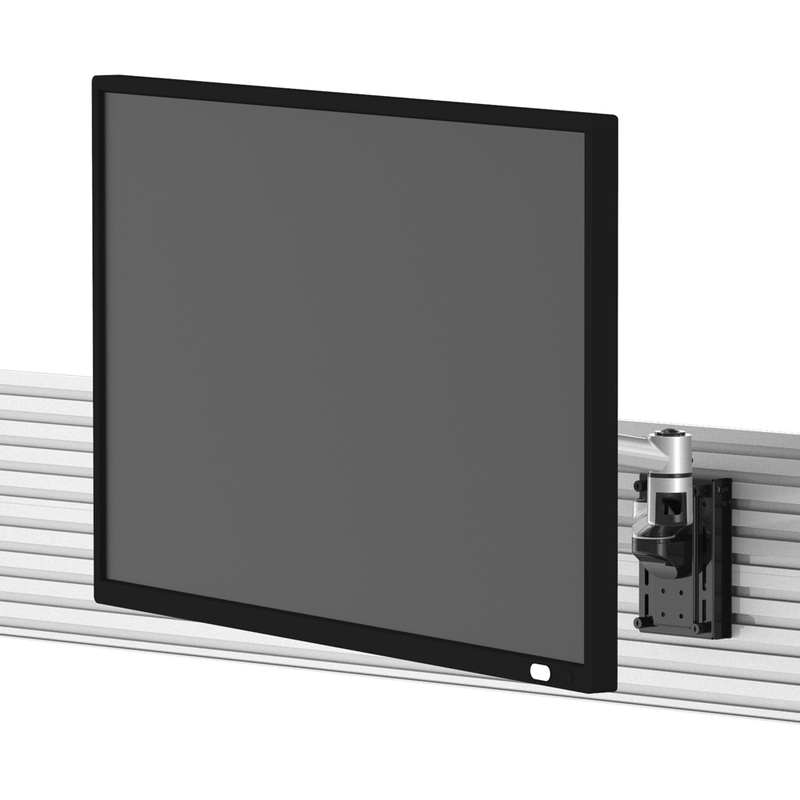 Please note that the slat wall in the picture is for demonstration and is not included but you may purchase as an option.If you need more information about how to select TV mounts please click here.